I am delighted to announce that i have been confirmed as the new BBC Radio Scotland presenter for Take the Floor. The legendary Robbie Shepherd MBE after 35 years has decided to hang up his headphones and retire after his last show on Saturday 18th August. I have been overwhelmed by the support shown to me so far regarding the announcement and I will do my very best to keep the music at the heart of the award winning show. A blether on the tele and radio. On Saturday 22nd August, Newtonmore meet Inveraray in the 2015 MacAulay Cup Final live from Mossfield Stadium in Oban. You can catch all the action live on BBC2 from 3pm with commentary from the voice of Shinty, Hugh Dan MacLennen, Drew MacNeil and presented by Jonathan Sutherland. I’ll be trackside for all the action and punditry throughout the match. Then the following day I’m looking forward to sitting in the Travelling Folk hot-seat on BBC Radio Scotland Sunday 23rd August from 7-9pm, as Bruce MacGregor takes a weekend off to galavant around the country with his band, Blazing Fiddles. On the show i’ll be interviewing Capercaillie singing sensation, Karen Matheson as she looks to release her new solo album ‘Urram’, while Capers bandmate Charlie McKerron comes on for a blether about his other project, Session A9, as they look to hit the road in the next few weeks. It’s with a heavy heart that after fifteen and a half years of service i have to say farewell to the Scottish Fire & Rescue Service as i cannot commit to the required amount of hours anymore to continue with Spean Bridge’s CRU. It really has been an incredible experience to be involved with such a great bunch of lads over the years who genuinely commit so much time and dedication in their efforts to hang around with a view to help others. I have some incredible stories and memories that will last me a lifetime from my time in the unit and I want to wish everyone in the Spean unit and Lochaber district a huge thank you once more. Here is a picture from my last shout with Alpha 29. Well here it is, Scotland’s first ever collaborative charity folk single! It really has been a brilliant experience from start to finish working with all my pals on this very worthwhile and rewarding cause. If you wish to download ‘Our Heroes’ then please click here and remember all monies raised from the track goes straight to Scotland’s veteran charity Erskine. Here is also a video of us making the track. This idea was inspired to me through the incredible story of Lance Corporal Donald Patterson who fought with the 4th Cameron Highlanders, who fell on the 18th May 1915 at the Battle of Festubert. His bagpipes were then sent home and have continued to progress through his family ever since. I wanted to record those very bagpipes on the track alongside an array of Scotland’s finest talent and release the track 100 years on to the very day that Donald fell in France and donate all proceeds to Scotland’s veterans charity, Erskine. Huge thank you again to everyone who donated their time and talents for this very worthwhile charity. Phil Cunningham, Duncan Chisholm, Julie Fowlis, Siobhan Miller, Ali Hutton, Martin O’Neill, Ewen Henderson, Ryan Murphy, Scott Mackay, Duncan Lyall, Alec Dalglish, Scott Wood, Ross Ainslie, Chris Pugh, Douglas West, Leon Thorne, Duncan MacGillivray, Iain Anderson, Jack Smedley, Adam Sutherland, Marc Clement, Calum Malcolm, Grant MacFarlane, Gorbal Sounds Studio, Angus Stirrat and my dad Hughie. I hope you all had a brilliant Christmas and New Year with your loved ones and i hope there will be plenty of drams and music that will bring us together throughout 2015. I spent hogmanay this year performing with Mànran at Inverness’ street party ‘The Red Hot Highland Fling’ which was fantastic and incredibly it stayed DRY! A huge thanks to all at Inverness City Council for putting on such a fantastic event. 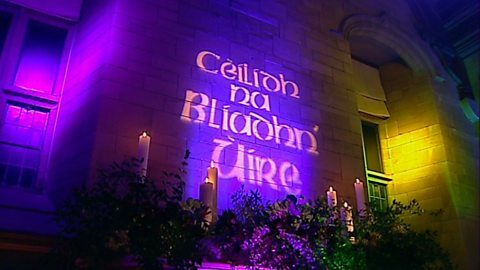 Here is a wee video of us performing on the night. When contacted in 2013 with a joint proposal from HG and Demus Productions to make a ‘year in the life’ documentary with no input into the editing process, we were sceptical to say the least. However under the watchful eye of Helena Gallagher, Nick Low and director Dave Martin, we had a complete blast filming this 1 hour long documentary which followed us across parts of America, Europe, Australia and at home. The documentary will be aired on Christmas day ay 9pm on BBC ALBA, however if you eat your body weight in turkey and keel over on the couch and miss it then it has since been put up on youtube if you fancy watching it. Time to hang up the boots! Today Fort William Shinty Club secured the National Division title trophy at Oban in front of a huge crowd at Mossfield Stadium. It was after this match though that i felt it time to announce my retirement from the sport. This has certainly not been an easy decision, however i feel at this time the right decision. With my musical commitments taking me away more and more from the sport it has become increasingly more difficult to play with Fort William and with so many new young fresh and eager faces coming through, the club is without question in very safe hands. The sport of Shinty has given me some of the best days out of my life alongside memories and friends that i will cherish forever. Shinty’s Heroes is an hour long special that features music and chat from the Blas Festival 2013. It was an honour and pleasure to be musical director of this show alongside our MC for the evening, Shinty historian, Hugh Dan MacLennan, to highlight and showcase the great men that left their highland shinty playing communities to head off for the Great War. BBC ALBA Saturday 5th January 2014 9pm and repeated again on Sunday 6th January 2014 at 8pm.